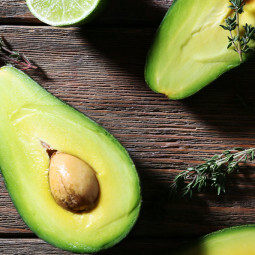 Tropical Salmon with Mango-Avocado Salsa and RiceFreezer Meal: Pork Chops with Balsamic Mushroom SauceHow To Cook Chicken and Fish from FrozenCan a Freezer Meal be Delicious? Yes! If you’re a fabulously busy person, the freezer is your friend. 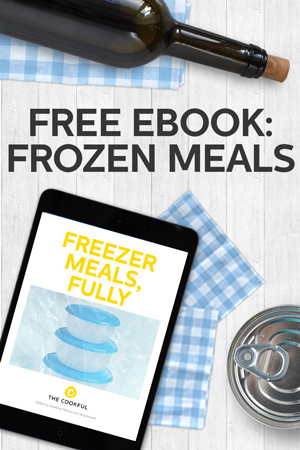 Get the scoop on what you need to start freezing fabulous meals. 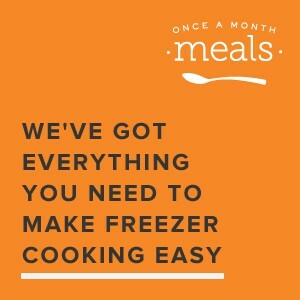 Freezing meals is one of the best ways to eat well and save time in the kitchen. You can prep ingredients, double batches of your favorite recipes or even do a major cooking day and prepare several meals for later. You probably have a lot of the basics already in your kitchen or can easily find them at your local store. 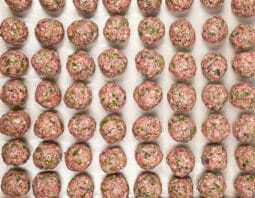 We’ve also listed some helpful extras if you’re interested in a big freezer cooking day (preparing 10-30 meals for your freezer at one time). 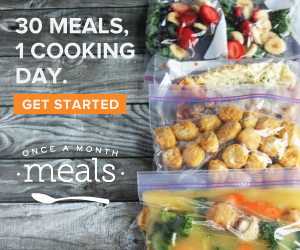 If you’re interested in more tips and recipes for a big one-day cook, visit our friends at Once a Month Meals. They’ve got it all figured out for you. Freezer: Kind of a no brainer. But consider purchasing a separate one for your freezer meal stash (Know how some knitters have a yarn stash? Freezer-cooking can be addictive like that). 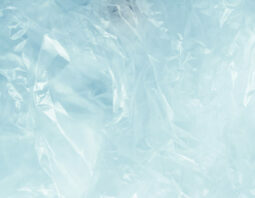 Freezer Bags: Opt for high-quality disposable bags (less chance of losing your meals to spills) or go for eco-friendly reusable bags. Freezer Bag Holder: Not strictly necessary, but when you see it you’ll wonder how you lived without it. 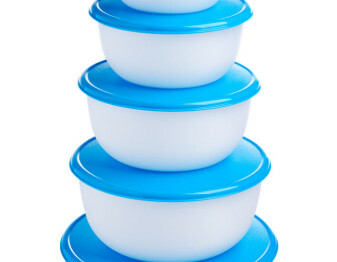 Freezable Containers: You may want to use plastic- or glass-lidded containers for some of your items. They take up more space, but sometimes are more secure. 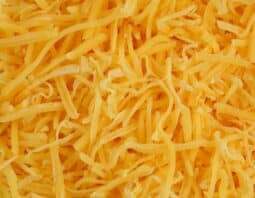 They are also fantastic for single-serving freezer meals. Parchment Paper: You will need this for some baking items. It’s wonderful for keeping individual items from sticking together in the freezer. Labels: Be sure to date all of your meals for safety. Food Saver: Another item that isn’t really necessary, but it is wonderful for packaging meals, seasonal produce or wild game. Food Processor: Helpful for large batches of your favorite recipes. We like the larger models with attachments for slicing, dicing and shredding. But you could also consider smaller models or manual tools like a mandolin slicer. Prep Bowls: Prep all of your ingredients first and you’ll fly through the recipe like a cooking show host! 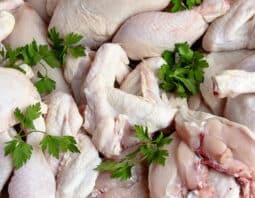 Or use or Storage Containers (like those pictured above) if you want to do some of the chopping and other prep the day before and store in the fridge until you’re ready to cook. Knives: Every cook needs a sharp set. Cutting Boards: We recommend having several and dedicating some to meats and others to veggies for food safety. Mixer: Stand mixers are a wonderful tool, but you could also use a handheld version. Blender or Immersion Blender: Some people like to have both for different tasks. Vegetable Peeler: A must have in every kitchen. Meat Tenderizer: Not always needed, but widens your recipe choices. Rice Cooker: Prep large batches of rice and freeze in portions for meals or a quick side dish. Slow Cooker: Prep large batches of soups, stews, and roasts for freezing. When bulk cooking, you can prep easy assembly meals that are simply dumped into the slow cooker on the morning you want to eat them. Baking Sheets: Rimmed and flat. You will need 2 or more for bulk cooking. Loaf Pans: Two or more (or foil for easy freezing). Roasting Pans: You’ll need one or two for roasting meats and veggies. Glass Baking Dishes or Casserole Dishes: These can be used on cooking day, and they can also be frozen if you have enough of them. 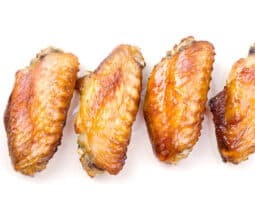 Foil Baking Pans: You can opt for disposable baking pans to make life easier. 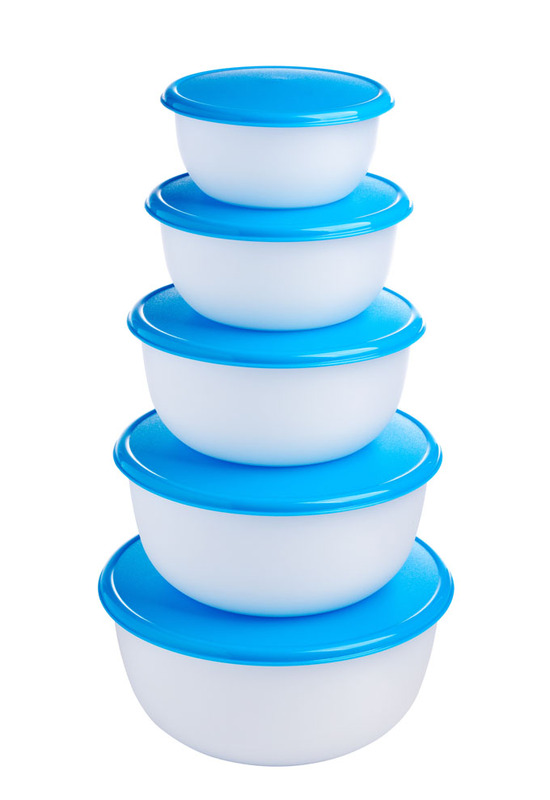 Plastic Ovenware: These are helpful as they can go from freezer, to microwave, to oven and are easily disposable. Muffin Tins: You need two or more. Make sure you have disposable liners. Silicone Baking Cups: These can be used to line your muffin tins. They’re also great for baking or freezing individual portions of dishes and ingredients. Large Skillets: If you’re making larger batches large skillets make it way easier. Large Pots: For your large batches of stock, soups and sauces, you’ll need at least one of these. Saucepans: You will need 2 or more of this kitchen staple. Cooling Racks: 2 or more. Folding Tables: Helpful if you have limited counter space. You can use this as a holding area for ingredients, a cooling and packaging station or to get your slow cookers off of the counters. Kitchen Mats and Comfy Shoes: You want to be as comfortable as possible so that you stay standing until the end of your cooking day. Kitchen Timer: Hugely helpful when you have multiple dishes cooking at once. Extra Prep Bowls or Storage Containers: Since your prep will be done the night before, you’ll need bowls or containers to store your prepped ingredients until cooking day. Extra Measuring and Mixing Tools: It’s super helpful to have extra sets when you’re working on many recipes at a time, especially if there’s more than one cook in the kitchen. Mixing Bowls: Look especially for large sizes. Spoons: Wooden spoons are best. You’ll want many in different shapes and sizes. Spatulas: For scraping and flipping. You’ll want many in different shapes and sizes. Phew! That’s a lot of stuff. We bet you probably have most if it already? What are you missing? What do you need? What do you just plain want?